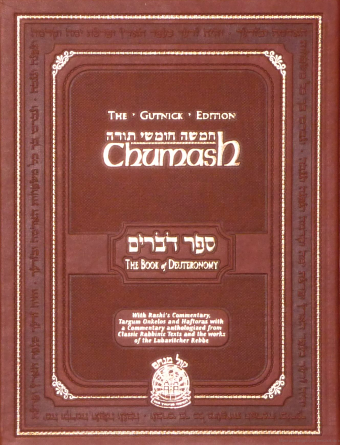 The best-selling Gutnick Edition of the Chumash (Pentateuch) has become the text of choice for scholars and laymen around the world. 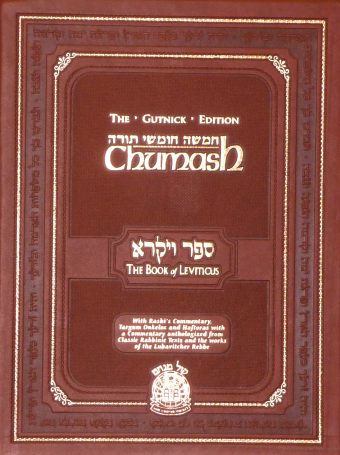 The soulful, modern English translation is outstandingly readable and provides an enjoyable, engaging encounter with the text. 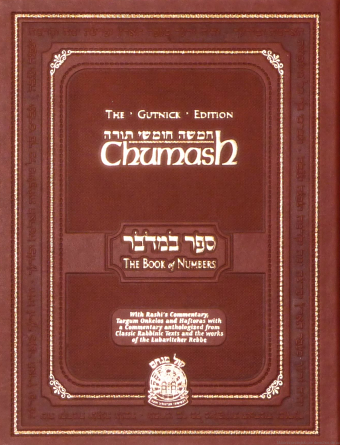 The Gutnick Edition is unique in its presentation of “Classic Questions” – the questions underlying more than one hundred Torah commentaries. 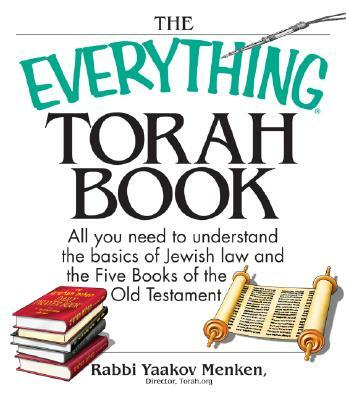 The “Toras Menachem” commentary is culled from the extensive lectures and notes of the Lubavitcher Rebbe on classical and Hassidic interpretations, with special attention to his studies of Rashi’s commentary.